Company culture is the personality of a company. How important is it to fill job adverts with in-depth information about the company and its culture. Traditionally this type of information never sees the light of day within a vacancy description, but research today suggests that the more culture-specific information, the better for candidates. The job application process is so long and time-consuming as it is, maximising on up front information saves everyone from wasting precious time. Although advertising company culture seems like a pretty logical approach to finding the perfect candidate, fewer than 1% of all advertised vacancies in South Africa on Adzuna contain any information about the employer’s company culture at all. 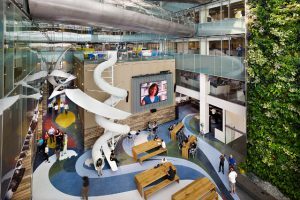 On the flip side, pioneering companies like Google already understand the importance of company culture for attracting the right staff. To find the perfect candidate they not only have to fulfil their role perfectly, but they also have to fit within the company culture. It goes without saying that the more upfront information provided the higher the quality of matches. If your company has a “start-up” culture, not every candidate is suitable for nor will enjoy working in such an unofficial office environment and making this clear from the start means they are deterred before they even apply. Smiles for everyone. The last thing anyone wants is for the candidate to find their ‘dream job’ only to find out they hate working there. Company culture is one of the biggest determinants for employees staying for the long haul and enjoying their work. For companies, writing a vacancy description is the best way to define their company culture. This should be included in each and every job advert, both offline and online. This demands that the marketing and recruitment departments collaborate and put their heads together to define this. If your company hasn’t clearly defined its organisational culture, it’s not too late. Tagged under: company culture,	job advert,	start-up,	vacancy.